WILLCOR's collective risk management expertise is a result of risk management support to government acquisition programs, the development of an automated risk management software application, and accomplishment of hundreds of factory visits in support of production / manufacturing risk assessments. WILLCOR has extensively used DoD 4245.7-M (the "Willoughby Templates") as the basis for risk assessment and as a result developed and promulgated both guidance (NAVSO P-6071) and expert software (Technical Risk Identification and Mitigation System - TRIMS). The basic TRIMS program is freely available to the public and WILLCOR Technical Risk Managers can assist in developing targeted templates for your specific needs. Process-based risks are deviations from known best practices and are identified when our Technical Risk Managers perform site surveys using TRIMS tailored specifically to your application. We are skilled at understanding process flows and interacting with factory engineers, workers, and management to accurately identify risks. Our approach is proactive and identifies process risks before they become problems. 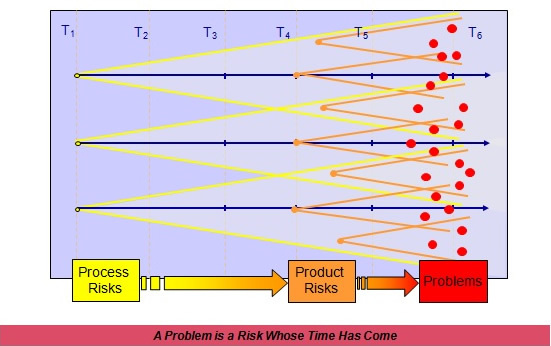 Process-based risks, if left unchecked, over time become problems. Early identification of process-based risk maximizes the program manager's decision space. We think that the earlier in the chain a risk can be identified, the less schedule and budget impact there will be on the program. It is easier, faster, and cheaper to fix a process risk than a problem, or put another way, it is easier to change a design before any metal has been cut.